The eruption of Kīlauea earlier this year destroyed or damaged hundreds of homes. Lava also swept through more than a thousand acres of farmland. According to Eric Weinert, president of the Hawaiʻi Papaya Industry Association, farmers devasted by Kīlauea’s lava flows are still waiting to hear what government assistance, if any, might be coming. What they need is new land, and especially capital, to start over. Kīlauea’s East Rift Zone eruptions, which started in May, caused $28 million in damages to farms, according to state officials. 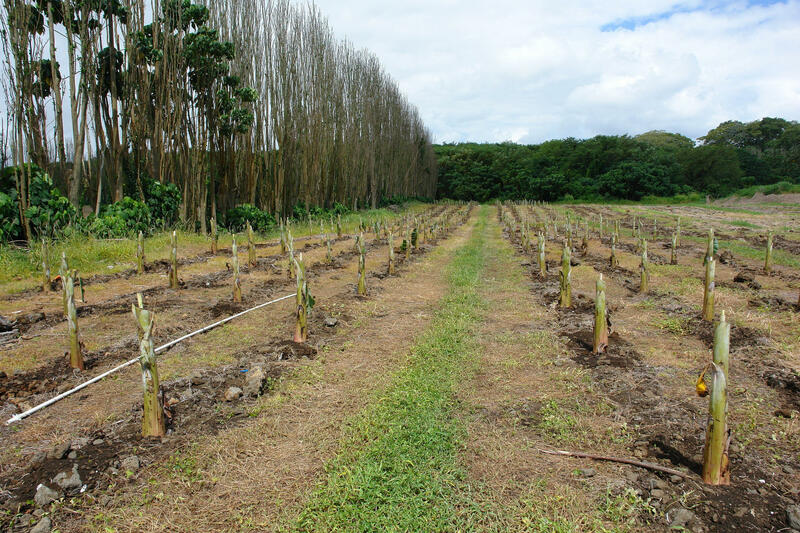 Floriculture and nurseries, papayas and macadamia nuts — all sustained millions in damages to crops, lands or facilities. The papaya industry has been especially hard hit as most of the state’s crops were grown in the lower Puna area, regarded as the best place in the Islands to grow the crop. Weinert himself is an example, he’s also general manager of Hawaiʻi operations for Calavo Growers. 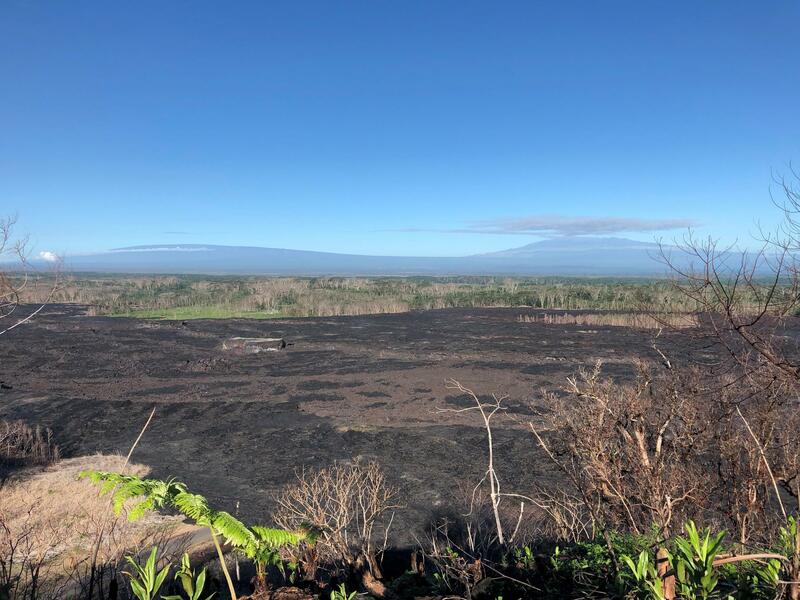 Its 700 acres of papaya farmland are intact, but inaccessible, surrounded on all sides by lava flows. Orchid growers have been hard hit, as well. In 2017, the industry was valued at $78 million and had been experiencing healthy growth since 2014. Eric Tanouye, president of the Hawaii Floriculture and Nursery Association, fears the industry may lose 10 percent of its value. Outside of Puna, the era of Keaʻau could be a new home for the papaya famers. But the land there is overgrown and the Hawaii Farm Bureau estimates that clearing it could cost anywhere from $1,000 to $10,000 per acre. The bureau is working with state and county officials, as well as the private sector, to explore public-private partnerships, grants and reduced land rents to make it feasible for farmers to start over.